The verse of the day on my phone app popped up and bopped me upside the head the other day. Psalm 42:11. In fact, it surprised me so much that I had to read it in four different versions and I concluded that I liked them all, but I loved The Message version the most. While a lot of people write about the Advent and prepare pin-worthy posts about preparing for the holidays, no one seems to say much about the holiday blues. But the blues can strike anyone at any time. They often pounce when sunlight is scarce and it just seems impossible to cram everything into each day. I don’t claim to have any counseling credentials—just common sense and first-hand experience of what moderate depression feels like (if you feel suicidal or as if the world would be better off without you, please, march yourself to a phone and call a suicide hotline or call a counselor or a psychiatrist—don’t put it off a second longer—please). But I do know how to battle the blues. As the confidant of friends working through depression issues (and the accompanying insurance nightmare), I’ve done what I usually do when I feel inadequate and overwhelmed by something I don’t understand—I research and read. I’ve read anecdotal books about depression (such as Get Out of That Pit by Beth Moore and Fully Alive by Ken Davis) as well as more academic tomes such as Feeling Good: The New Mood Therapy by David D. Burns, MD, and Hope Prevails by Dr. Michelle Bengtson. I’ve discovered that the mind can act as a powerful weapon—either against us (making us depressed), or for us (by changing our thought patterns). Dr. Burns actually cites studies (done by independent researchers) that show that ‘bibliotheraphy’ (self-study of a good book on depression) can be as effective as talk therapy and/or medications (once again, it all depends on a person’s level of depression and the root causes). Both Dr. Burns and the other authors I’ve read agree that a person can use his or her mind to assist with recovery from depression. 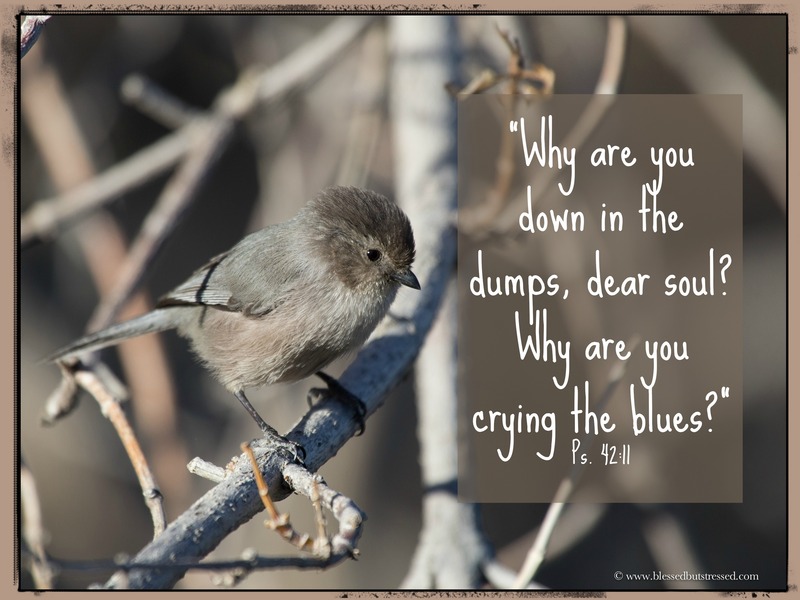 The sons of Korah in Psalms 42 and 43 (some people consider the two books to comprise one Psalm) highlight an action plan for the holiday blues. 2. When you start having negative thoughts (42:4), fix your eyes on God (42:5)—this element is so important it’s repeated three times in the passage. Another way to look at the first line of defense against the holiday blues (and depression in general) is to think of your mind as a library shelf. We have free will to put any books we want on the shelves, and to take them down and read them whenever we want. Sometimes, our shelf gets cluttered with books about doubt and fear and all the negative things happening in our lives. Our mind becomes fascinated with these books and stops to read the titles and the pages over and over again. I’ve been known to pull down the book titled Anita Has no Friends and read myself into the dumps. Sometimes, I pull down the book Anita Can’t Teach and worry myself sick from reliving my mistakes. Once I start ‘reading’ those titles, it’s easy to grab Anita Ate too Much and Doesn’t Exercise Enough and This Will be a Horrible Holiday. When this happens, I find myself with a full-fledged case of the blues. Or, even worse, the blues’ older, meaner sibling, depression. To remedy the situation, I have to clean out my library shelf. I start by grabbing the book that should have center shelf space at all times. Unfortunately, the Bible often gets pushed aside when I’m feeling down. I turn to the Psalms, because I can always relate. The books of John and Luke are also great places to start. Try this first step in fighting the #holidayblues #bgbg2. As I fix my eyes on God, I find that some of those nasty titles slip off the shelf naturally. After all, my mental bookshelf has no book ends. Sometimes I grab one of the books off the floor and read the titles again—but I have a choice. I can toss them or put them on the end of the shelf. But I don’t allow myself to put them in the middle of the shelf where they grab my attention throughout the day—steps two and three. Writing new books—ones about the wondrous acts of God—and adding them to the shelf also narrows down the space for negative books—step four. As I do this, I discover more and more titles popping up on my shelf—things like my 1000 Gifts journal, where I praise God for both the mighty and the mundane. That’s the fifth step. 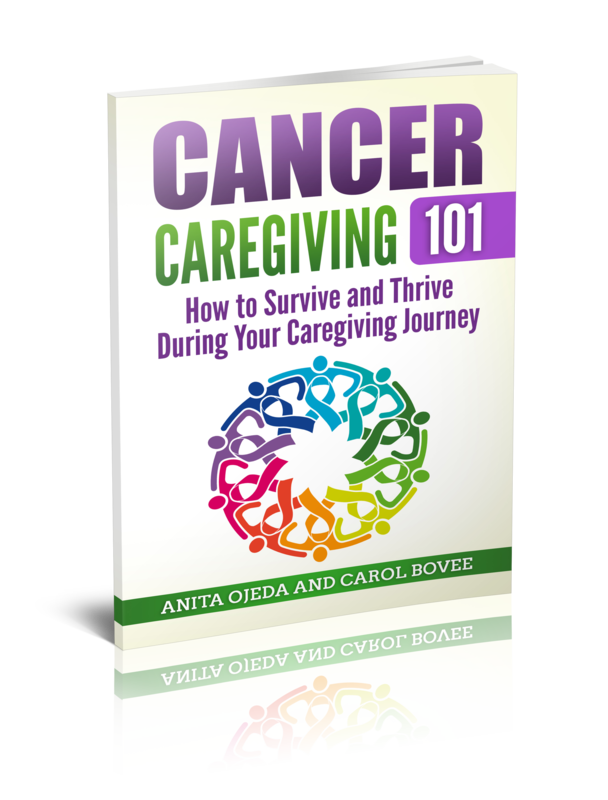 Know that you are not alone. Millions of people have bookshelf problems—but the Bible has an answer for that! Choose what books you want to read today—it’s all part of “…fitting every loose thought and emotion and impulse into the structure of life shaped by Christ” (2 Cor 10:5 MSG). So don’t holster your weapon when the holiday blues come a stalking you. 1. Link up your favorite posts from 2016! Join Meredith Bernard and other women as they encourage each other on Wednesdays.